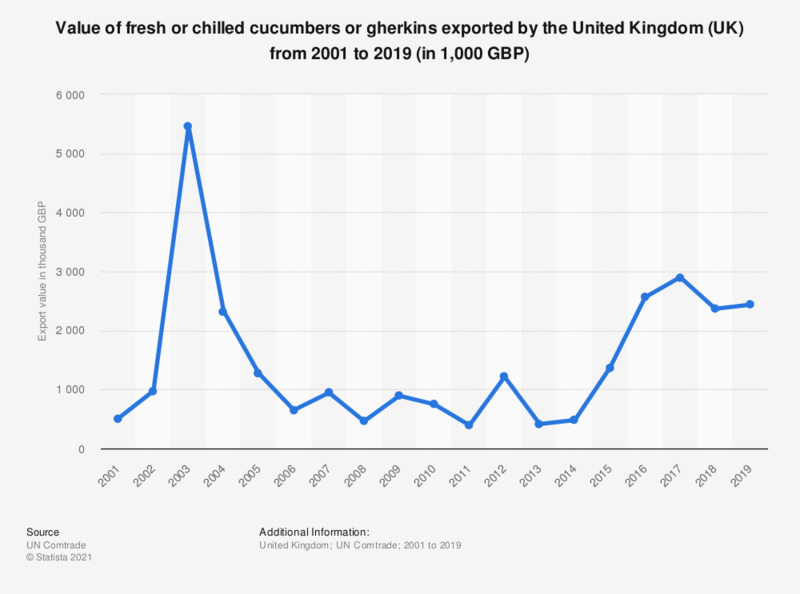 This statistic presents the value of chilled or fresh cucumbers and gherkins exported by the United Kingdom (UK) annually from 2001 to 2018, in thousand British pounds. Exports of chilled or fresh cucumbers and gherkins were valued at approximately 2.1 million British pounds in 2018. The peak exports year was in 2003, with a total of roughly 5.4 million British pounds of chilled or fresh cucumbers and gherkins exported.